Cassie comes to us all the way from West Portsmouth, OH, and she’ll likely be one of the first friendly faces you’ll see when you come to visit us! While she is relatively new to dentistry, she actually has 13 years of experience in the medical field. As part of our front desk team, she says her favorite part about her job is helping and getting to know our wonderful patients. Away from the office, she likes to spend her time traveling, snorkeling, reading, crafting, woodworking, and taking her beloved Wheaten Terrier, Buddy, to the dog park. Melba first joined our office nine years ago, and she has 11 years of overall experience in the field. She earned her Associates in Accounting from the National Business of College, graduating with High Honors. Additionally, she is certified in CPR and First Aid, X-rays and CareCredit. Melba is currently a member of the American Association of Dental Office Managers (AADOM). Just being able to give patients a great smile means the world to her! Originally from Broadway, Melba has a fiancé named Jeremie, a daughter named Brooklyn (who also works here! ), and she also has 2 grandchildren, Ashlynn and Rhyatt. Outside of work, her hobbies include taking care of the animals on the farm (chickens, cows, goats, and pigs), being with family and friends, swimming, and fishing. Melba loves to go to the beach. Something interesting about Melba: she has a big heart and enjoys helping anyone that she can. 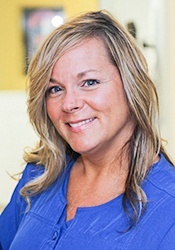 Allison first joined our practice seven years ago, and she has 20 overall years of experience in the dental world. She attended the University of Tennessee in Knoxville and then completed her education in dental hygiene at Roane State Community College. She has her certifications in CPR and local anesthesia, and she constantly improves her training with continuing education courses. Her favorite part of her job is being able to help others achieve a healthy smile and take care of their teeth! Originally from Sharps Chapel, TN, Allison and her loving husband Billy have two kids named Abigail and Andrew. When she isn’t busy at the office, she enjoys spending time with her family, cooking, and shopping. Something interesting about Allison: her father is actually a dentist, and she has always loved going to his office, helping out, and learning a lot about dentistry. 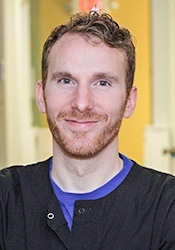 Craig has seven years of experience in dentistry, having spent the last five as part of our team. In the past, he attended both Bridgewater College and Virginia Commonwealth University, earning his Bachelor of Arts in Dental Hygiene from the latter. He loves the people he works with! Craig originally hails from Bridgewater, and he is married with three children named Winter, Autumn and Titus. His interests include soccer, hiking, camping, backpacking, and playing music. Something interesting about Craig: he once spent several weeks in the rainforests of Costa Rica doing ecological research. 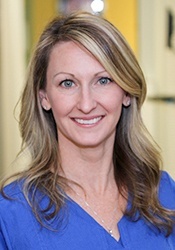 Brandy has been working as a dental hygienist since 2013, and she loves getting to know her patients well and helping them regain their best smiles. 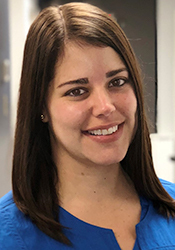 She studied at Blue Ridge Community College and earned her Associates in Dental Hygiene from Virginia Western Community College’s joint venture program at Danville Community College. She is certified in CPR and local anesthesia. Originally from right here in Harrisonburg, Brandy and her husband Billy have a daughter named Chloe and a son named Cooper. In her free time, she enjoys being with family, camping, shopping, and swimming. Something interesting about Brandy: Her family is her world and ice cream is her weakness! Brooklyn has been working in the dental field for two years and counting. 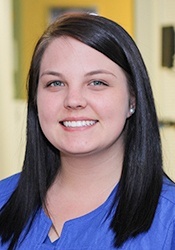 She began her education in the dental assisting program at Massanutten Technical Center and is currently working on an Associates from Blue Ridge Community College. She holds a certification in dental radiology. Today, her favorite part of her job is being able to help people get their smiles back! Brooklyn lives in Timberville, and she has a three year old daughter named Ashlynn. Her hobbies include playing outside with Ashlynn, making primitives, watching Grey’s Anatomy, and spending time on the farm. Something interesting about Brooklyn: she’s been showing cattle since she was nine years old. 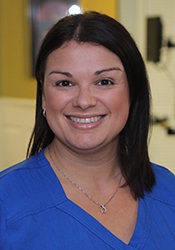 Ciende is from here in Harrisonburg, and she’s been a member of our team for 14 years with 18 years spent in the dental field as a whole. She’s also certified in X-rays and has advanced training in CEREC and mini dental implants. She loves seeing transformations happen in patients' lives once their smiles are improved. Ciende is the busy mom of two very active children, and her interests outside of work include spending time with her family, going to the beach, and doing mud runs! 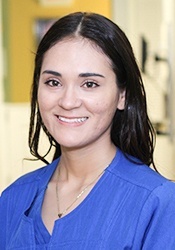 Maria received her dental education from the Massanutten Technical Center. She also has additional training in dental radiation. She is originally from Mexico and speaks fluent Spanish, which goes a long way towards helping our Hispanic patients feel right at home. Maria has a small family who tend to be quiet until you get to know them. When she has free time, she enjoys cooking, hiking, and athletic activities. She has a big, outgoing personality! Something interesting about Maria: She loves being outdoors but is terrified of all types of bugs. 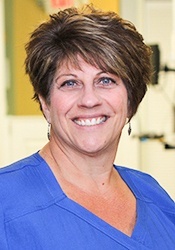 Originally from Mount Solon, Sharon has been working in dentistry for three and a half years so far. 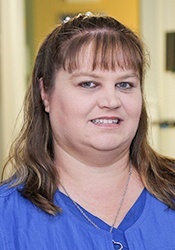 She earned her Bachelor of Science in Computer Science from Virginia Tech and is currently a member of the AADOM (American Association of Dental Office Managers). She loves working with such friendly and caring people! Sharon and her husband Dale have two grown children. When she isn’t at the office, she enjoys reading, helping her husband on the farm, gardening, and cooking. Something interesting about Sharon: she grew up on a dairy farm and now lives on a beef and poultry farm.